Back on May 1, the ol’ Talking Computron (Alex) and I drove up to Minneapolis to run a workshop at the Hack Factory for their Handmade Music event. 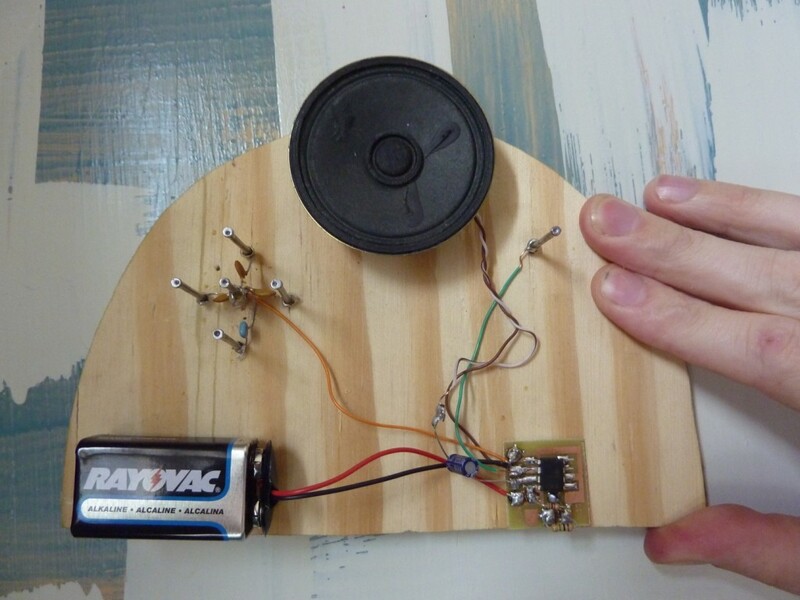 A few ideas were thrown around, but ultimately we settled on creating some touch-sensitive noisemakers built onto wooden boards, using steel nails as the touch points. Alex crafted an example to show and worked out the circuitry, and assembled all the materials as well. The circuit we used was a basic 555-based oscillator, using touch points to bridge in a couple of capacitors for different pitch ranges. 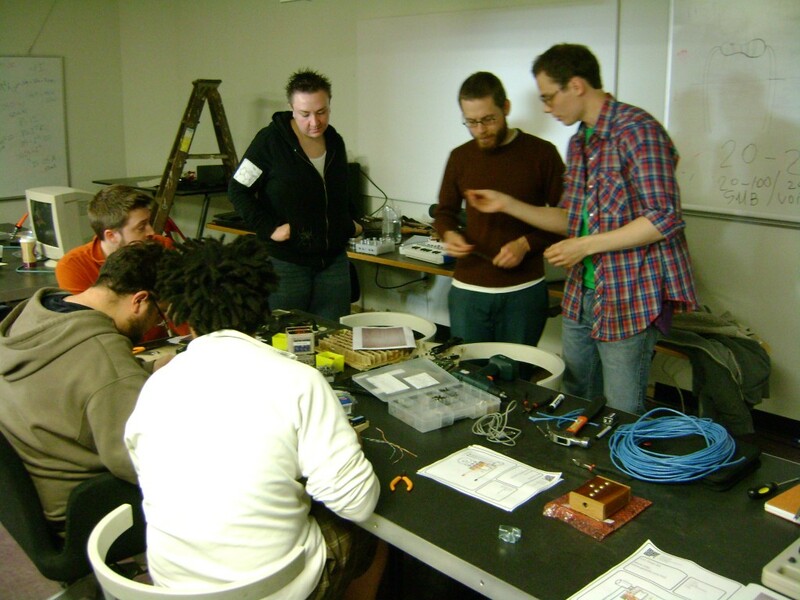 Each participant got one of the Getlofi 555 timer kit, plus some extra capacitors, roofing nails for the touch points, and a piece of wood to nail it to. 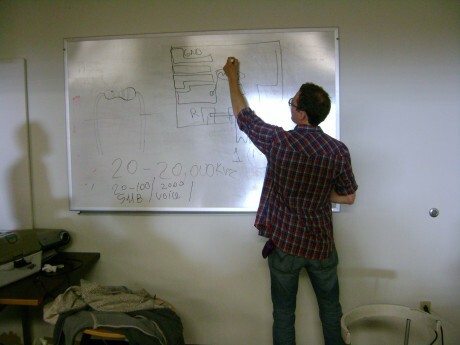 Alex handled the lecturing while I circulated the room and made sure that no parts were soldered in backwards. The finished pieces were pretty fun, since each person could freestyle the pattern of nails and components onto their board. 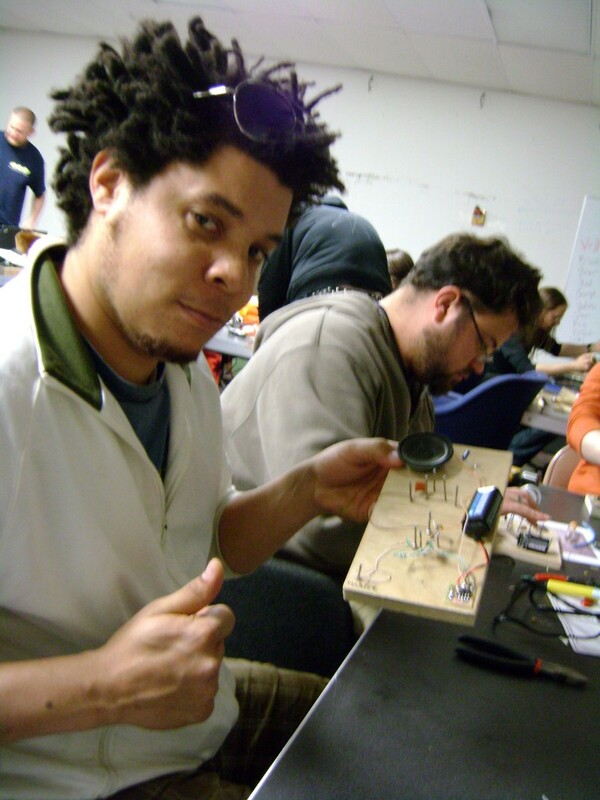 All the attendees showed up ready to solder, and everyone helped each other out. 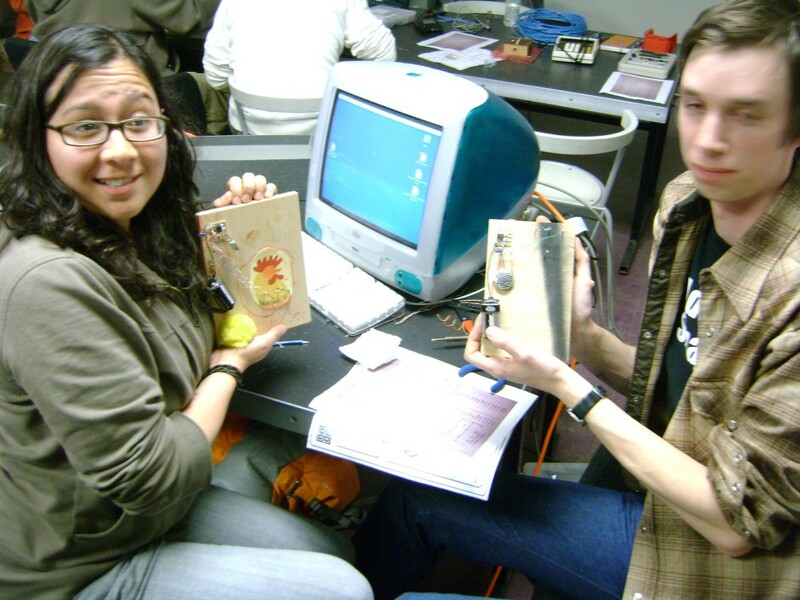 Even though some were beginners at the whole “melt the metal and attach a component” thing, every person walked away with their own finished device. The full set of pictures is here. if you, or someone you know is in one of the photos, please tag them and “friend” me. Handmade music Minneapolis also has a blog with more photos here. 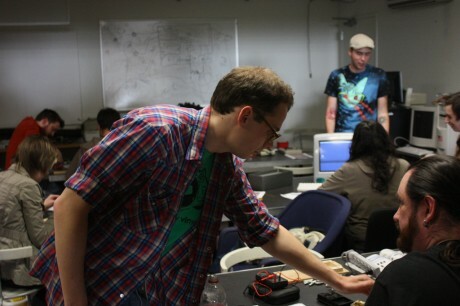 Big thanks to The Hack Factory for hosting, and to Pat Arneson for coordinating everything! It was a lot of fun, and I hope to get up there to do another workshop sometime soon.